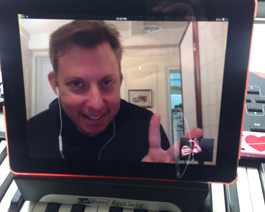 Work with Daniel from anywhere in the world via Skype! Want to walk into any gig and own it? Join the growing corps of drummers (now hailing from five continents) who are taking their careers “to the next level” under Daniel’s one-of-a-kind, high-intensity guidance. In every session, Daniel combines in-depth technique with broad historical overview and large amounts of inspiration and motivation. Each lesson is followed up with a personalized review sheet and short practice videos that accompany every exercise covered. 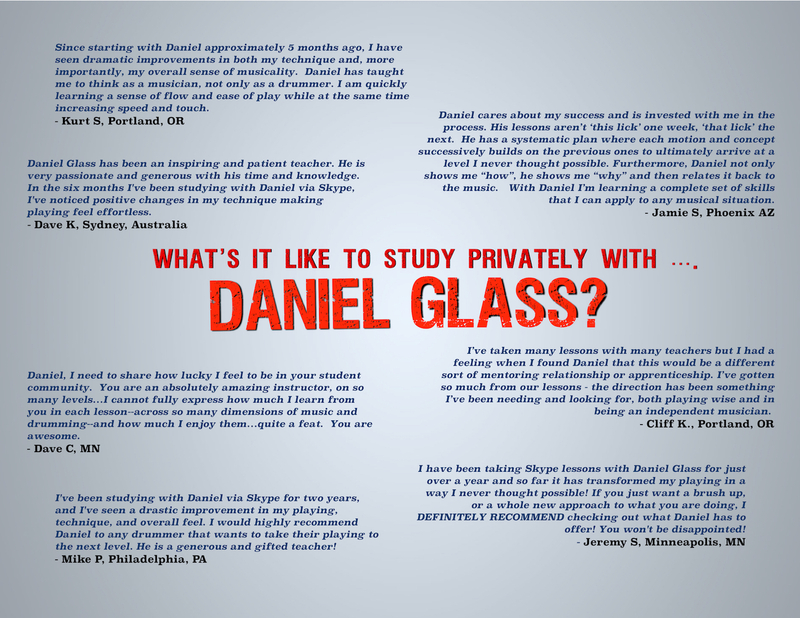 Daniel’s feedback also incorporates a healthy dose of drum wisdom as imparted by Freddie Gruber, Daniel’s teacher and mentor of many years. Get started today – contact Daniel here! Daniel is a proud member of the Vic Firth Education Team, the Sabian Education Network and the Professional Drum Teachers Guild (PDTG). 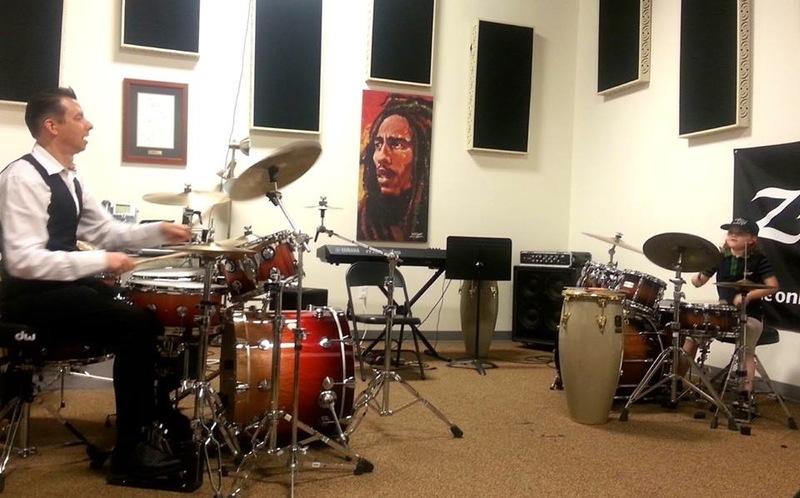 He teaches musicians of all ages, styles, and abilities. – Looking for some guidance in jump-starting the business side of your music career? – Feeling the need to adjust your attitude from hopelessness and doubt to confidence and positivity? – Seeking a shot of inspiration that will motivate you to follow your dreams to the next level? Now you can tap into Daniel’s 25+ years of experience in the percussion and music industry through a personal Skype consultation. Contact Daniel today to get started!